Maximum protection wrist wrap with a removable stay and easy-lace system. Whether you need wrist immobilization or wrist support while typing, the DonJoy Advantage Stabilizing Speed-Wrap Wrist can help alleviate wrist pain. The Stabilizing Speed-Wrap Wrist provides protection to the wrist. 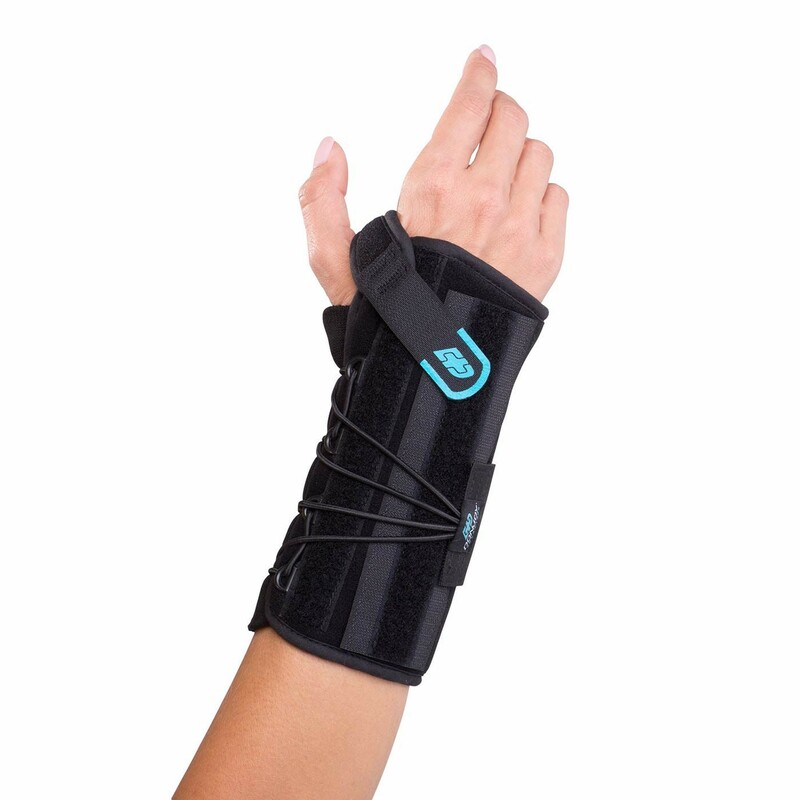 As the wrist heals, use the removable palmar and movable dorsal stay to personalize the fit and support. Easy to wear, the Stabilizing Speed-Wrap Wrist is quick to put on with the speed-lace system and comfortable for all-day wear. The DonJoy Advantage Speed-Wrap Wrist is a comfortable, lightweight wrist brace providing maximum protection with an easy-to-use speed-wrap application. 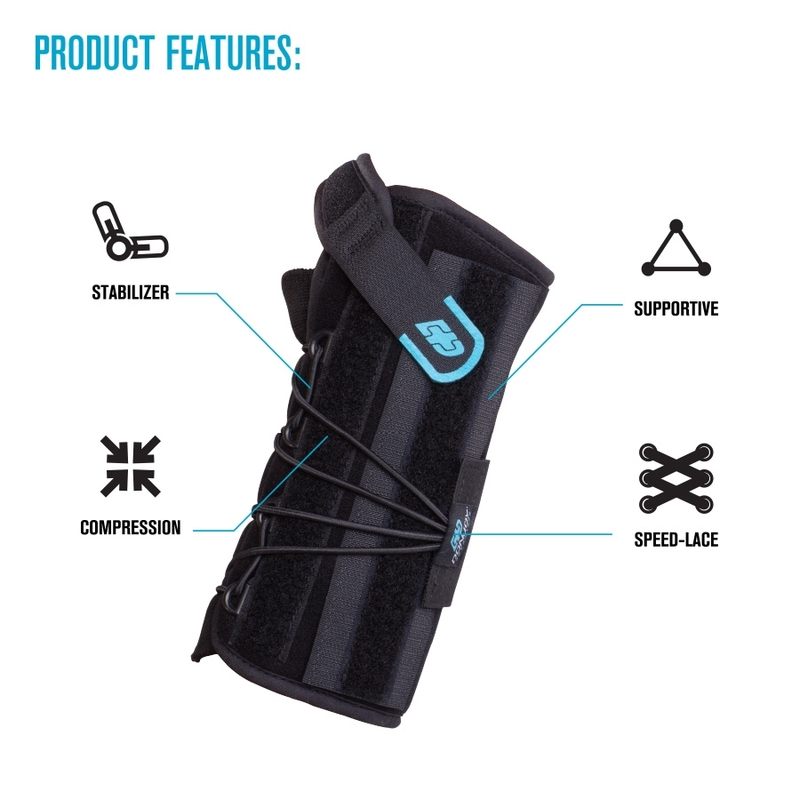 Constructed with removable palmar stay and movable dorsal stay will allow for best protection while personalizing the fit and support as your wrist heals. The quick and effortless lace system allows for easy on/off application and simple adjustments that might be needed throughout the day. Ideal to wear during day-to-day activities, work on a computer or lifting objects. Slide your hand inside, through the thin fabric. Tighten the speed lace and secure the strap around the wrist. Then secure the strap between the thumb and finger. Adjust the as needed.